Delicious, sweet, animal-free, non-dairy Banana Creme pudding! Each 4 oz. 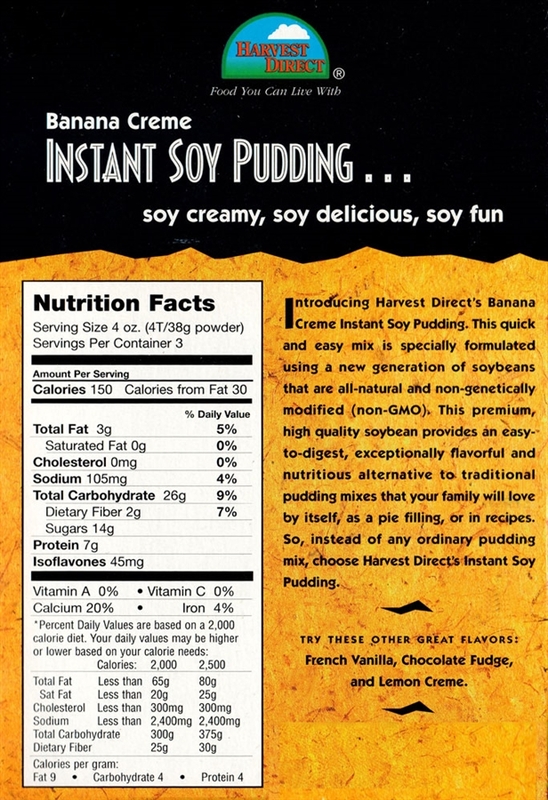 package makes 3 servings of delicious, vegan, Banana Creme pudding. Great banana flavor. Made it with vanilla soy milk. Yum!